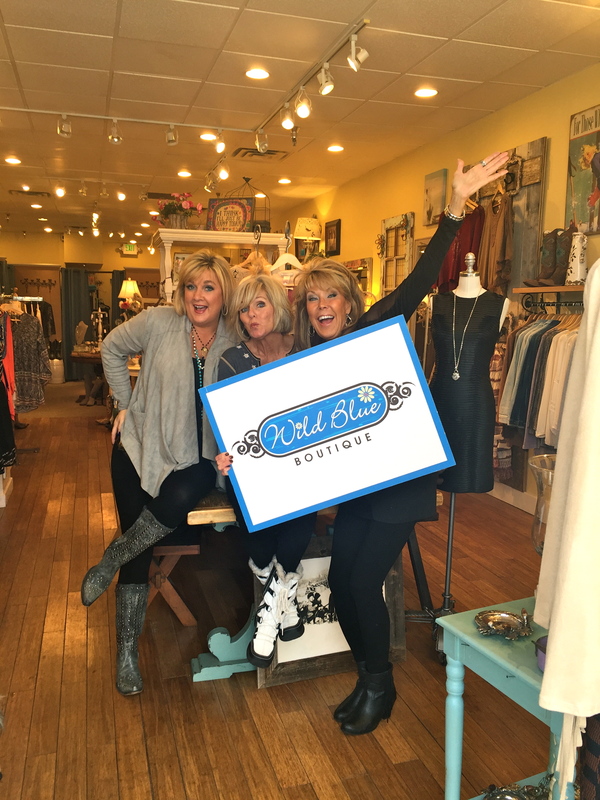 Wild Blue Boutique puts the fun back in shopping! The store is casual chic with a little touch of southern charm. We offer an eclectic collection of fun and fabulous clothing at customer friendly prices. We love new things, that’s why they arrive daily at the store! 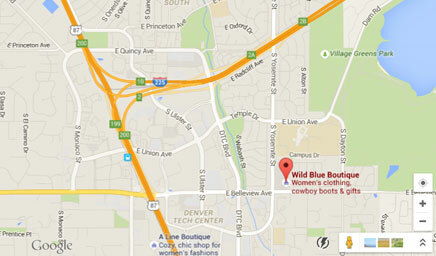 Let the girls at Wild Blue Boutique build your dream closet with hand-selected on-trend styles. 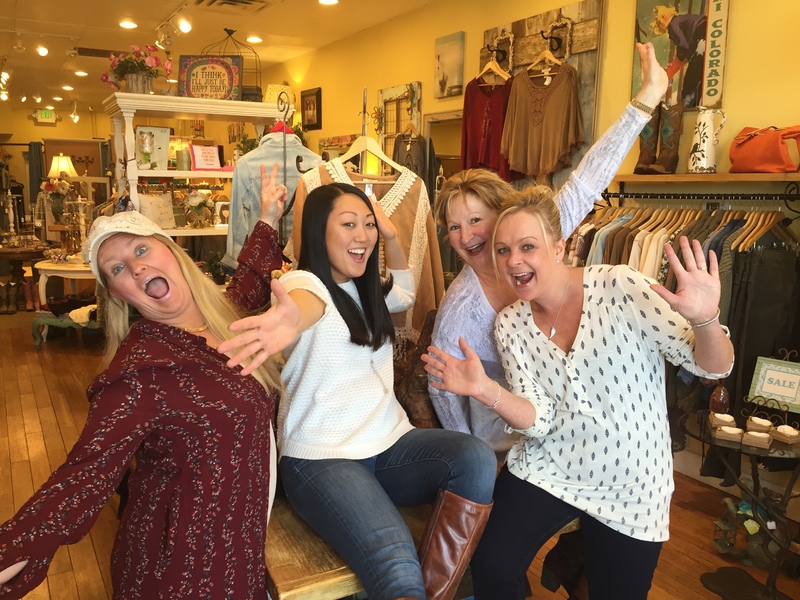 While clothes and accessories are the main reason for coming to the store, you’ll want to come back because of the Wild Blue Girls and the blend of southern hospitality. We have you covered for all upcoming events, whether it be date night, a business meeting, or girls’ night out. Stand out with on-trend summer tops, women’s accessories, designer jewelry, and much more. Slip into a pair of Corral or Lane cowboy boots for your next concert or party. Pair the boots with a stylish sundress, flowy maxi dress or a pair of jeans from our denim bar. Wild Blue Boutique isn’t just a fashion boutique; we take pride in supporting the local community and schools. Some of the organizations we support include: Denver Junior League, Cocktails for a Cause, Make-A-Wish Foundation, Cancer League of Colorado, Dress for Success, Providence Network, Cherry Creek High School, and various middle and elementary schools. We want you to love shopping as much as we do!